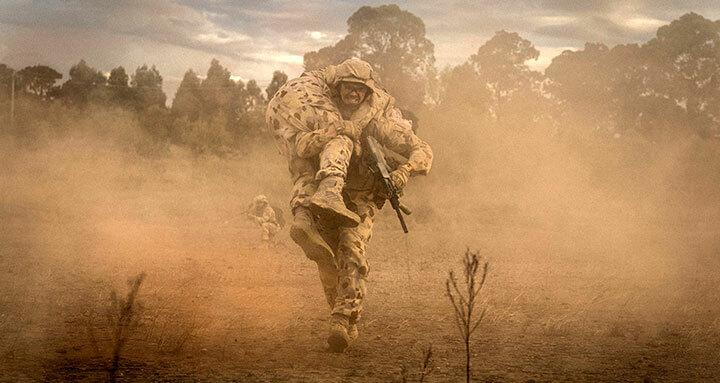 Commissioned by Foxtel, Goalpost Pictures’ Fighting Season is the first Australian miniseries dealing with the plight of Australian soldiers who served in Afghanistan. DQ finds out how it came together. During frequent trips to the US several years ago, Australian producers Kylie du Fresne and Rosemary Blight were struck by the fact that US military personnel were the first passengers to be invited to board planes, or had their own airport lounges. The Goalpost Pictures co-founders contrasted that recognition with the near-invisible status of Australian soldiers at home, including those who suffered PTSD after serving in Afghanistan. 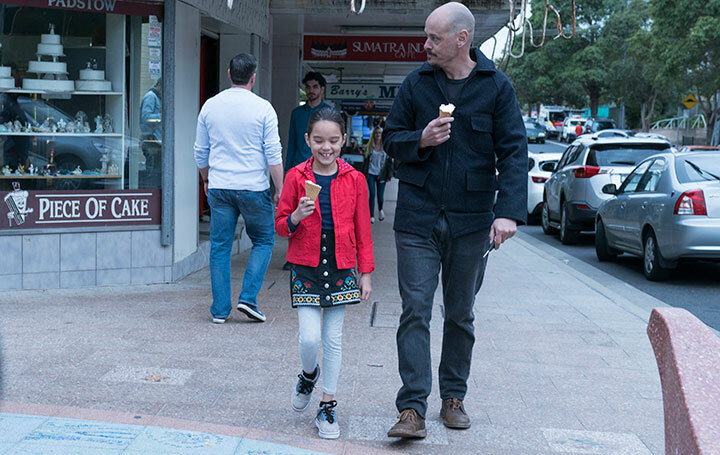 Realising this subject had never been explored in an Australian television drama, they began fleshing out their ideas for a miniseries with writer-producer Blake Ayshford. Penny Win, head of drama at pay TV giant Foxtel, loved the concept and agreed to fund development. The result is Fighting Season, a six-part drama/mystery that will premiere on Foxtel’s Showcase channel on October 28. 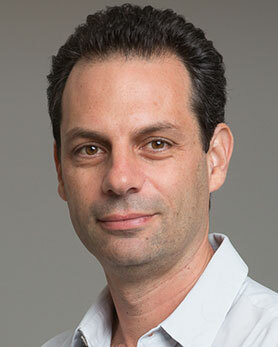 UK-based distributor Sky Vision is handling international rights. Set in 2010, the story follows a platoon of soldiers who are recalled from Afghanistan after the death in combat of their captain, Ted Nordenfelt, during a mission marred by mistakes. They arrive to a near-empty airport with only their families to greet them. The mystery of Nordenfelt’s death unfolds with devastating effect on the men, their loved ones and friends, testing the bonds of mateship and the army’s culture of self-sacrifice. Ayshford wrote three episodes and Belinda Chayko, Kylie Needham and Tommy Murphy each wrote one. During his research, Ayshford met with a number of serving soldiers and one who had just left the army after undertaking multiple missions to Afghanistan. These men became the basis of Fighting Season’s characters and stories. He also interviewed family members on how they coped with the absence of partners or fathers for six months or longer. The 2010 setting was chosen because Australian forces suffered a particularly heavy toll of casualties and the defence forces’ top brass were resistant to the phenomenon of PTSD. The following year saw the emergence of support groups such as Soldier On. 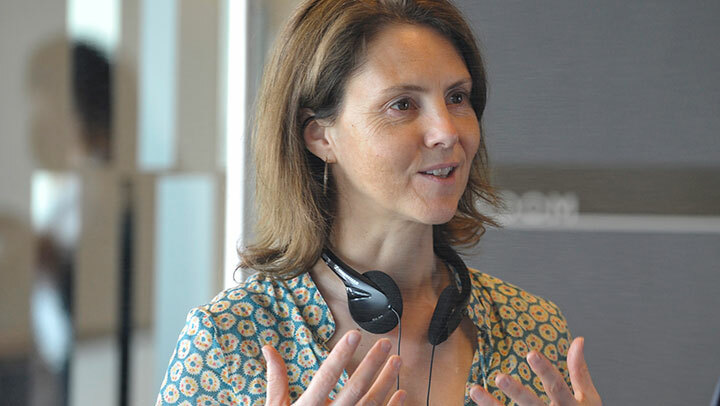 US-based Kate Woods came back to Oz as the setup director, helming four episodes, while in his TV debut emerging director Ben C Lucas called the shots on the other two. “I loved the scripts, which just got better and better, and it’s an important subject,” says Woods, speaking from the Albuquerque, New Mexico, set of Netflix drama Messiah, which was created by Aussie Michael Petroni. “Australia has not looked at the situation of its veterans in Afghanistan, our longest war, and the effects when they come home. 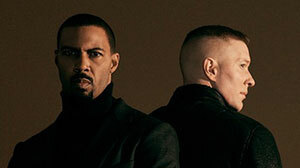 Woods, whose recent credits include Agents of S.H.I.E.L.D., Unsolved: The Murders of Tupac and the Notorious B.I.G. and Underground, admired Ayshford’s work on such shows as Barracuda and Devil’s Playground and had long wanted to collaborate with Goalpost Pictures. Keen to give opportunities to new voices, Goalpost hired Lucas after he made his feature film debut on Wasted on the Young, followed by OtherLife, to which Netflix acquired worldwide streaming rights. Coincidentally, he was developing a feature about returned servicemen and PTSD when he heard Fighting Season was in development. 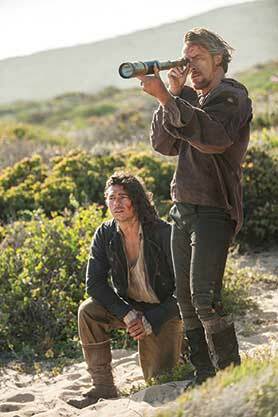 When Blight and du Fresne first approached Foxtel’s Win, it was just after Foxtel had screened Deadline Gallipoli, a 2015 miniseries dramatising the infamous First World War campaign through the eyes of war correspondents Charles Bean, Ellis Ashmead-Bartlett, Phillip Schuler and Keith Murdoch. “It just seemed both timely and important to have a sort of bookend to that drama,” Win says. “One hundred years after Gallipoli, the myths and legends that had grown up around it and the increasing focus of ANZAC Day meant it had become almost an alternative Australia Day. Blake wrote a compelling treatment about the reality of the Australian soldier coming home – a world we seldom see on screens – that beautifully highlighted the gap between the myth and the reality. Ewen Leslie (Safe Harbour, Top of the Lake: China Girl) plays Nordenfelt, a ruthless leader and excellent soldier who is seen in flashbacks. 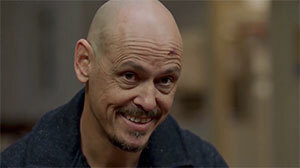 The character suffers from PTSD but fears he could be discharged if he seeks the help of a psychiatrist. Kate Mulvany (Secret City, Miss Fisher’s Murder Mysteries) is Ted’s widow, an army engineer and captain who suspects a cover-up. The narrative struck a personal chord with Mulvany, the daughter of a Vietnam veteran who suffered from severe PTSD and died two days after the actor landed the role. “The moment that I read this script it was so familiar to me, it was heartbreaking. I had complete compassion for these characters, complete empathy, and I know them because I’ve lived them,” she says. As most of the soldiers are aged under 21, the producers hired emerging actors including George Pullar, Marco Alossio, Julian Maroun and Paul de Gelder. The cast also includes Sarah Armanious as Speedo’s wife, Jay Laga’aia as a minister of religion who is the father of Alossio’s character, Sabryna Waters, Lex Marinos, Lucy Bell and David Roberts. “It is a war drama but it’s not about war. It is about the futility of war, the fallout, family and healing. 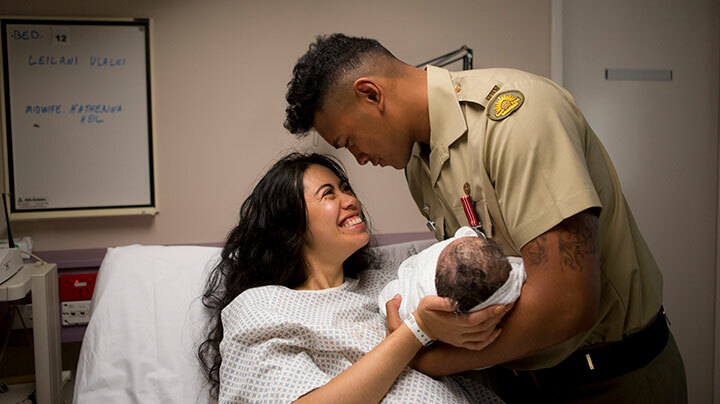 And ultimately people will come to watch Fighting Season because it’s not glorifying war, it’s simply about how we pick up the pieces and how we move on from that,” Laga’aia says. 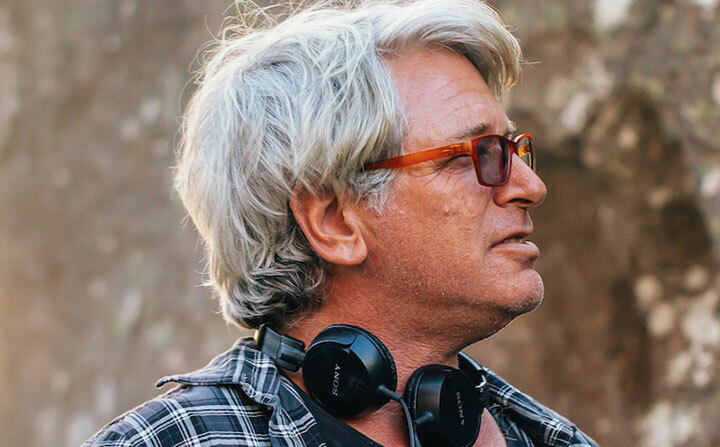 A team led by production designer Paddy Reardon built a section of an Afghan village in a quarry near Sydney, which was raided by the Australian soldiers. The wide-angle battle scenes were filmed in the vast expanse of the outback near Broken Hill. Other scenes were shot in the suburbs of Sydney where the soldiers and their families lived. Shooting the raid in the village was the biggest challenge, involving three camera teams. The production also received permission to film the annual ANZAC Day march in Sydney, in which thousands of people participate, including serving and former armed forces personnel and their families. Costume designer Damir Peranovic relished the contrast between the faded greens of military uniforms with the “at home” uniform of cargo shorts or jeans with graphic T-shirts. After watching documentaries including Illustrated Man by New York-based photographer and director Sophy Holland, hair and make-up designer Angela Conte discovered nearly all the men got tattoos when they came home from Afghanistan: some from sadness, others from shame or guilt. So she designed tattoos that were relevant to each soldier. 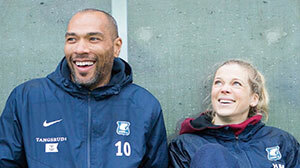 Founded 10 years ago by Blight, du Fresne, MD Ben Grant and Cass O’Connor, Goalpost Pictures operates on a broad canvass encompassing feature films as well as TV projects such as supernatural drama Cleverman, a copro with New Zealand’s Pukeko Pictures, which SundanceTV acquired for US audiences. Its feature slate includes The Sapphires and the upcoming Top End Wedding, both directed by Wayne Blair, and Leigh Whannell’s sci-fi thriller Upgrade, a copro with Jason Blum’s Blumhouse Productions. 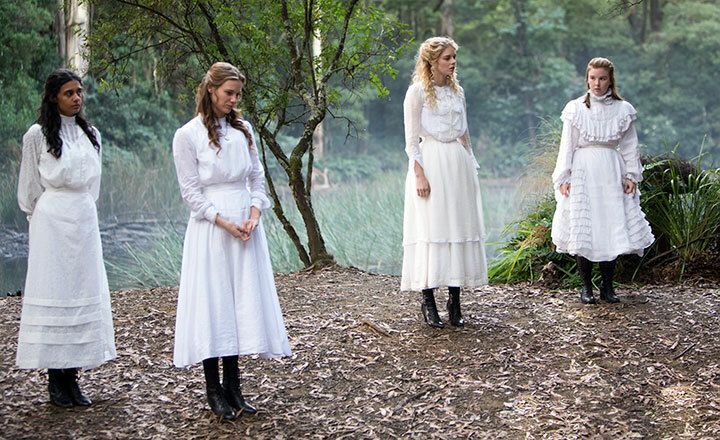 All the hallmarks of a classical period drama are present and correct, but do not be deceived by the stately mansion, bonnets and corsets on show in Picnic at Hanging Rock. In fact, this intoxicating six-part series is a thoroughly modern retelling of Joan Lindsay’s classic novel – from the scripts by Beatrix Christian and Alice Addison to the predominantly young cast headed by Game of Thrones’ Natalie Dormer and the dazzling directing led by Larysa Kondracki. 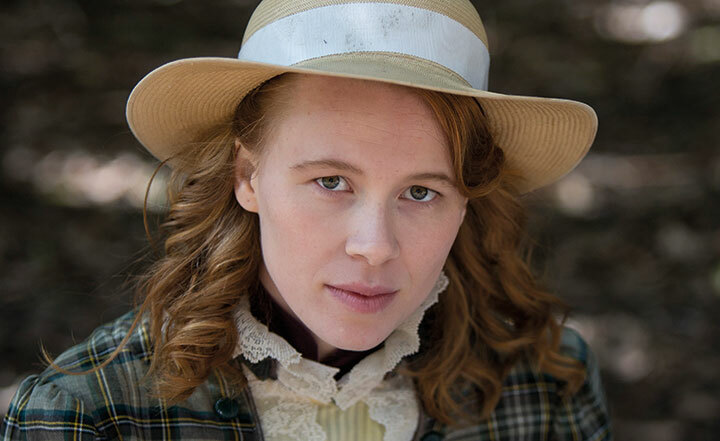 After a red-carpet world premiere at the Berlin International Film Festival in February, Picnic at Hanging Rock is at last getting its domestic debut on Foxtel’s Showcase channel in Australia this Sunday. Dormer stars as English headmistress Hester Appleyard as the story plunges viewers into the mysterious disappearances of three schoolgirls and their governess on Valentine’s Day 1900. Exploring the event’s far-reaching impact on the students and staff of Appleyard College and its enigmatic headmistress, theories soon abound, paranoia sets in and long-held secrets surface as the Rock exerts its strange power and the dark stain of the unsolved mystery continues to spread. The cast also features rising Aussie stars including Lily Sullivan, Samara Weaving, Madeleine Madden and Ruby Rees as some of the students. 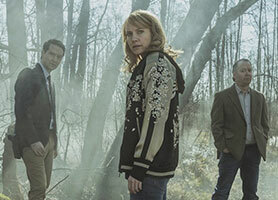 It is produced by FremantleMedia Australia, with broadcasters including Amazon Prime Video in the US, the BBC in the UK, Germany’s Entertain TV, France’s Canal+ and Sky New Zealand already importing the series following deals with distributor FremantleMedia International. Aware of the revered 1968 film adaptation directed by Peter Weir, Kondracki initially turned down the chance to direct this new version. But friend and Fremantle executive Stefanie Burk passed her Lindsay’s book and asked her to give it a look. “I had the same reaction that every crew member had too, which was ‘No, no,’ but the second you read it, you said, ‘OK’ – the script goes back to the book and then expands it,” the director says. Dormer agrees Christian is one of a kind. “She’s a playwright originally and when you read her stage directions, she can communicate a thought or a feeling in a few lines, in a way I haven’t seen a writer achieve before. Joan Lindsay can hint at something in one sentence and Bea’s described it and run with it. 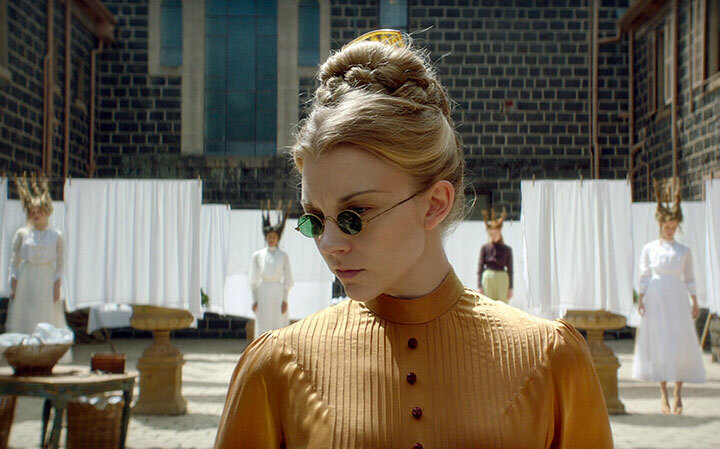 Like remaking Sherlock for the BBC or taking a new version of Othello out onto the stage, Dormer believes the time was right to do Picnic at Hanging Rock for a new generation, describing this version as a “gothic horror” with touches of dark comedy thrown in for good measure. “But really it’s also a huge exploration of what are the formative years of young girls, and a woman [Appleyard] who thinks she knows what women should be and them rebelling against that. In a way, it’s our version of [1988 US movie] Heathers. I have a nutty theory that all the girls are different versions of what Hester could have been. Sullivan, who plays Miranda, admits that following Weir’s film was intimidating, as the characters in Lindsay’s book already exist on screen. But this new version, she says, takes viewers on an emotional journey, sending them back and forth through the events. 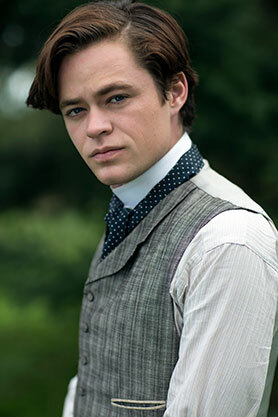 Bringing some international flavour to proceedings are Harrison Gilbertson, who plays Englishman Michael Fitzhubert, and Lola Bessis, who stars as French schoolmistress Mademoiselle Dianne de Poitiers. Shooting took place in Melbourne and in locations across Victoria, as well as at the real Hanging Rock, a spiritual place considered sacred by native aboriginal communities. The week before filming there, however, the cast and crew were all struck by illness. “Which is true,” the director interjects. Dormer continues: “Hester Appleyard could very easily be a villain. And Larysa gave me this great pitch: ‘You can find the vulnerability, the weakness and the sadness in her that will make the audience empathise as well. You will make her an anti-heroine as opposed to a villain.’ She said, ‘I know you can do that.’ I was like, that’s a tough specification with that character. We found we had a shorthand quite quickly. There’s something about this relationship; we’re both very candid people, we’re both very straight-talking. Picnic at Hanging Rock is the latest in a wave of adaptations of Australian novels and films, from Mystery Road and Romper Stomper to Wolf Creek and Wake in Fright. 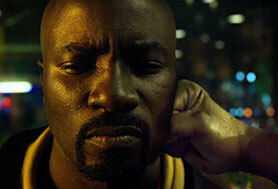 But regardless of its source, the cast believe this series will make its mark around the world. Rees adds: “Australia is not always seen to be a country that can create art that holds its own, and I think this version of Picnic at Hanging Rock will put us on the world map in the way the film did when Peter Weir made it. As Prison Break returns to television after an eight-year absence to bolster the line-up of jail-set dramas on air, DQ explores why viewers love to lock themselves up with convicts. Television drama has the power to transport viewers to exotic new worlds, turn the clock back to visit the past or fast-forward to futuristic fantasies. But there’s one location in particular that can be a hotbed of action, thrills, drama and romance, despite being a less-than-salubrious setting. From Australia’s Prisoner: Cell Block H and Bad Girls in the UK to German soap Hinter Gittern –Der Frauenknast and French Canada’s Unité 9, prison dramas can send audiences to a place full of intrigue, yet one most people hope never to visit in real life. 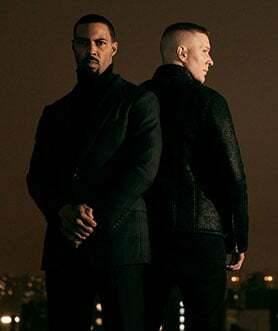 The return of US drama Prison Break to Fox early in 2017, eight years after the last season concluded in 2009, bolsters a trend that suggests viewers can’t get enough of life behind bars and the diverse cast of characters who are forced to eat and sleep together in decidedly close confines. One of the biggest prison dramas of recent years has been Orange is the New Black, the Netflix original series that debuted in 2013 and now comprises four seasons. Created by Jenji Kohan and based on Piper Kerman’s memoir of the same name, the show is set in the all-female Litchfield Penitentiary and has proven such a hit for the streaming service that, in February this year, it placed a three-season order taking the show through to 2019. Disclosure of viewing figures has never been Netflix’s strong point, but that massive commitment points to Orange is the New Black being among the platform’s biggest hits. 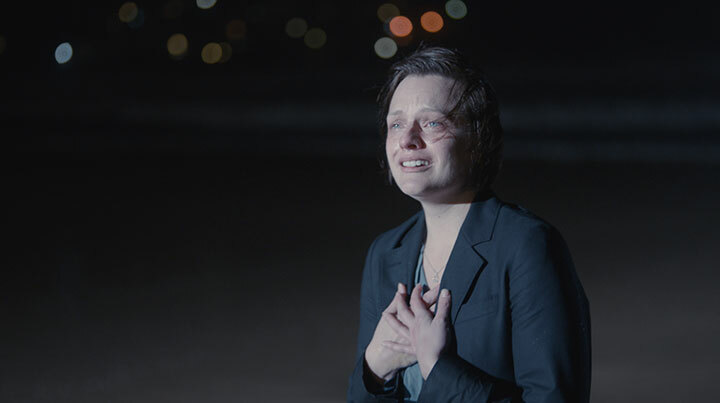 Similarly, Penny Win, head of drama at Australian pay TV broadcaster Foxtel, described the network’s own prison drama Wentworth as a “ratings blockbuster” when she confirmed it would be back for a fifth season in 2017. Wentworth also airs in 141 countries around the world and has spawned remakes in Belgium (Gent-West), Germany (Block B – Unter Arrest) and the Netherlands (Celblok H). 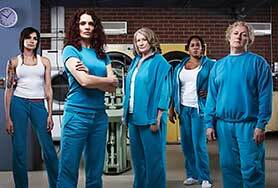 Also set in a women’s prison, Wentworth was conceived as a contemporary re-imagining of Prisoner, which ran on Network Ten down under between 1979 and 1986. 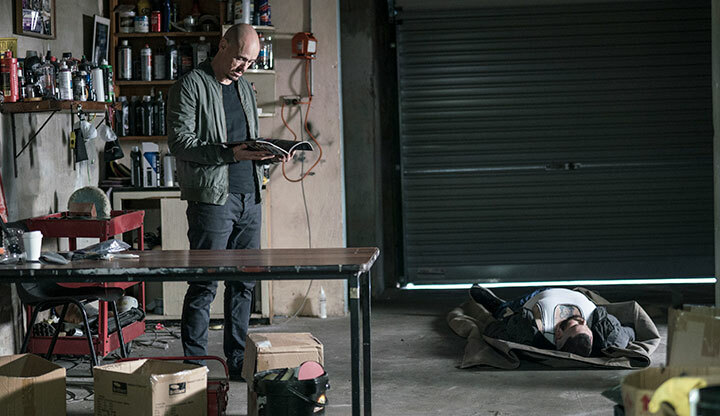 The new series, which debuted in 2013 on Foxtel’s SoHo channel, focuses on Bea Smith (Danielle Cormack) as she is forced to learn how to survive in the eponymous prison. 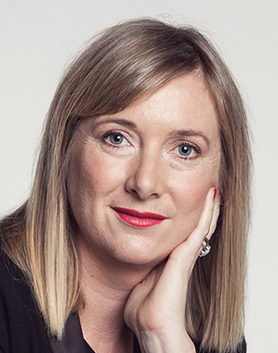 “A prison is a hothouse for drama because it’s such a concentration of story,” says Jo Porter, FremantleMedia Australia director of drama and Wentworth executive producer. “People have broken the rules and why they break the rules is often interesting. They’re having to face the consequences of their choices and they cannot escape them. Like the prisoners, writers on these shows also find themselves locked up within the confines of the prison grounds, unable to escape into the world that surrounds them in terms of story. But the revolving prison door serves as a perfect way to say goodbye to some characters while also introducing new ones. If Litchfield’s orange or Wentworth’s blue jumpsuits don’t appeal, how about yellow? Inmates featured in Spain’s Vis a Vis (aka Locked Up, pictured top) must don the brightly coloured outfits when they join the population of Cruz del Sur prison. The show follows Macarena (Maggie Civantos), a young woman who commits tax fraud and must quickly navigate the emotional shock of being in prison and the complicated relationships among the inmates. It is produced by Globomedia for Antena 3 and distributed by Imagina International Sales. With Breaking Bad among his inspirations, co-creator Alex Pina says a prison is the perfect setting for a television thriller: “A prison is supposed to be too rough a place for many other things but it is perfect for a thriller. No character can ever be certain they are safe from every other character. While some prison dramas are entirely confined behind bars, others – including Orange is the New Black, Vis a Vis and HBO’s recent hit miniseries The Night Of – give viewers considerable time on day release. The same is true of Icelandic series Fangar (aka Prisoners), in which a woman is convicted of the attempted murder of her father. She is sent to a women’s prison, where she harbours a dark secret that could tear apart her family – including her politician sister – and set her free. “Originally it was just a prison series but as it developed, it became more of a family drama,” director Ragnar Bragason says of the show. “The women’s prison is not a standard prison – it’s the only women’s prison in Iceland and only holds 10 or 12 inmates at once. There are no uniforms and they make their own meals and watch TV together. It’s more like a dysfunctional family than a prison but it has the same hierarchies and violence. Work on the show, which is produced by Mystery Productions for RUV and distributed by Global Screen, included 30 days filming at the prison, which presented its own challenges. 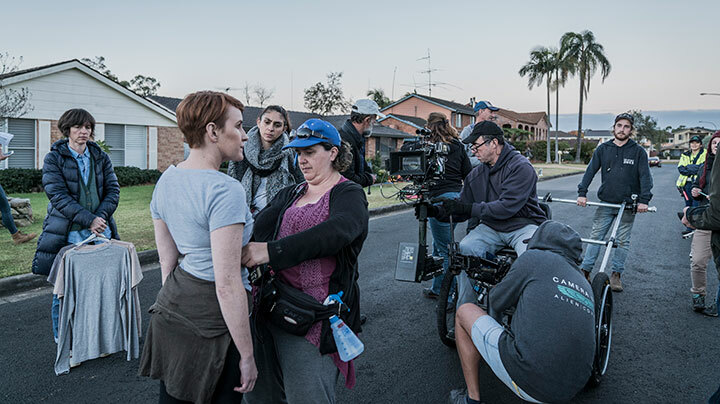 However, Wentworth producer FremantleMedia Australia had to build that show’s set from the ground up, not once but twice, as production moved to a new location at the end of season three. 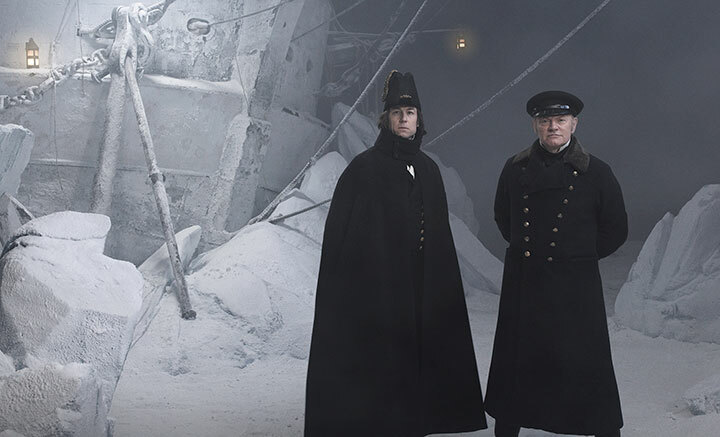 “It’s quite claustrophobic when you get in there,” reveals production designer Kate Saunders. “The cells are quite small because they are in reality. We’ve had to be quite inventive with the camera ports and walls that float. There are lots of bits of the set that float [to allow cameras in]. We certainly learnt as we went along. Much like in period dramas, props in prison series must be extremely specific, as Saunders found out when she first tried to dress the Wentworth sets. “Everything they have inside a prison is up to certain standards – like the phones, they’re much more solid – and everything is anti-ligature so prisoners can’t hang themselves,” she explains. “It was difficult when we first started because the people who make those items wouldn’t talk to us until we got the greenlight from [government department] Corrections Victoria. You’ve probably noticed that this feature has overwhelmingly discussed dramas set in women’s prisons as opposed to men’s. So why is it that, with the exception of Prison Break, The Night Of and HBO’s groundbreaking drama Oz [see below], prison dramas tend to focus on female incarceration? The reason, it seems, is universal. With Orange is the New Black and Wentworth set to run and run, it seems viewers can look forward to a lengthy stay inside, whichever show they prefer. Australian television dramas often struggle to compete against US imports in their domestic market. But there are some encouraging signs in terms of titles coming through. 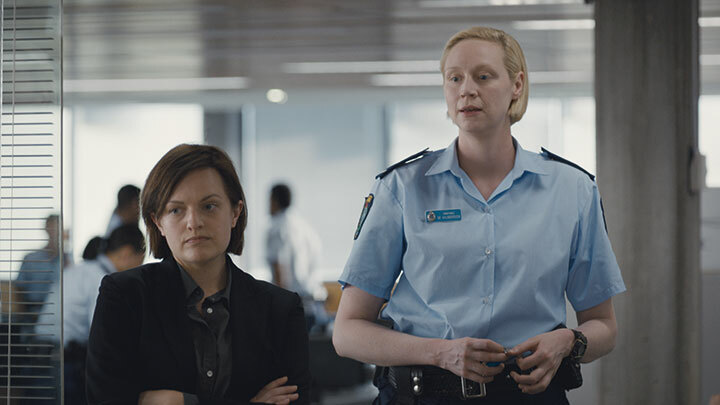 One series to watch out for is The Kettering Incident, which debuts on Foxtel on July 4. 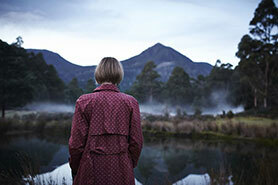 Set in Tasmania, the show tells the story of Anna Macy (played by Elizabeth Debicki), who left Kettering when she was 14 years old, shortly after her best friend disappeared when they were playing in the forest. 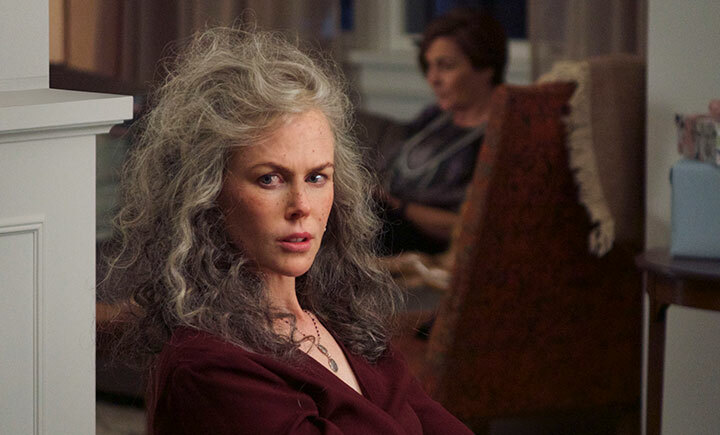 Anna returns 15 years later to find the town is struggling to survive. Then another young girl disappears. The show was co-created by Victoria Madden and Vincent Sheehan. 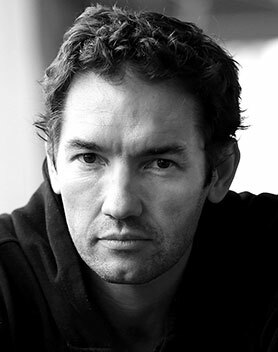 Madden is also part of the writing team, alongside Andrew Knight, Cate Shortland and Louise Fox. Her previous credits include Lynda La Plante’s Trial and Retribution, The Bill and Halifax FP – though what makes this title so interesting that she is from Tasmania. 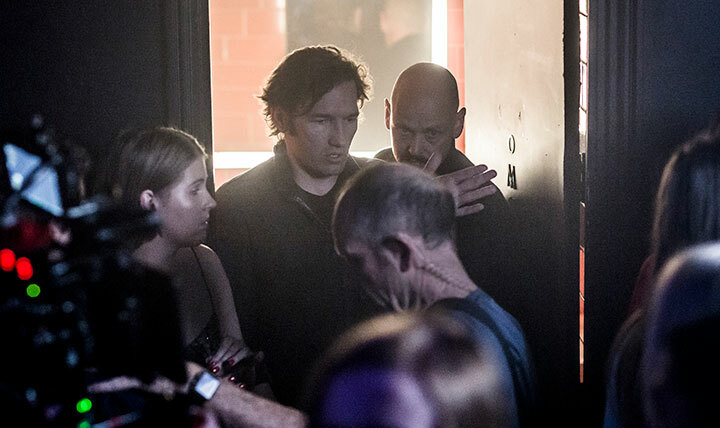 So, in fact, are most of the cast, crew and supporting industry, with an estimated 300 Tasmanians involved. Overall, the eight-part production has cost A$14m (US$10m), with Tasmania expecting the local economy to benefit by around A$5m. 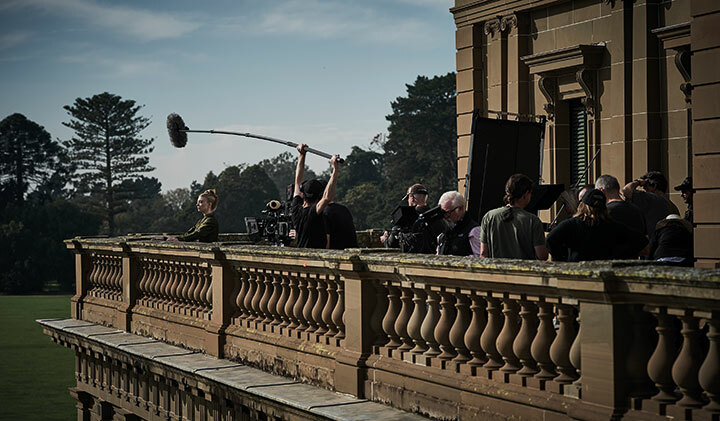 In return for a Tasmanian government contribution there is also an attachment training initiative that has seen trainees work across various production areas, including screenwriting. While The Kettering Incident is very much an Australia/Tasmania labour of love, there are strong indicators that it will do well internationally. One is that BBC Worldwide is handling international distribution – always a good sign. 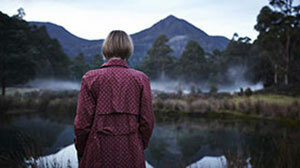 The other is that it won the Special Jury Prize at the Series Mania festival last month. Another upcoming Australian show that promises to hit the headlines is Nine Network’s miniseries House of Bond, which stars Ben Mingay as flamboyant fraudster Alan Bond. Currently in production, the show follows the success of last year’s House of Hancock, which was a biopic of iron ore magnate Lang Hancock. House of Bond is produced by Cordell Jigsaw Zapruder, with the assistance of Screen Australia and Screen NSW. The writer is Sarah Smith, originally from Perth. 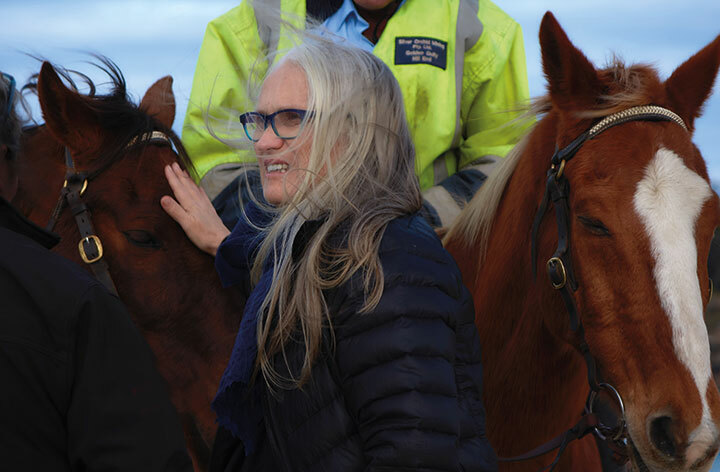 Smith has been in the screenwriting business for more than 20 years as a writer and producer on shows like The Alice, All Saints, McLeod’s Daughters, Canal Road and Sea Patrol. She’s also the co-creator, producer and writer of Wild Boys and Rescue Special Ops as well as co-writer and producer of the telemovie, Dripping In Chocolate. Her most recent project prior to House of Bond was six-part thriller Winter, a spin-off from the 2014 telemovie The Killing Field. Aired on Seven Network it averaged around one million viewers. 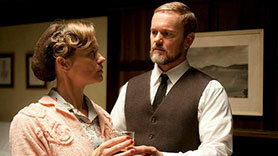 Another Aussie show in the news this week is ABC’s period drama The Doctor Blake Mysteries, which has been commissioned for a fifth season (due to air in 2017). So far the show has racked up a total of 36 episodes and draws on quite a large writing team. One key figure has been Stuart Page, who wrote seven episodes in the first series and has been heavily involved in the following three series. Other episode writers have included Chelsea Cassio, Chris Corbett, Tim Pye, Jane Allen, Peter McTighe, Marcia Gardner, Michael Harvey, Pino Amenta, Roger Monk, Jeff Truman, Paul Oliver, Paul Jenner and Sarah Lambert. 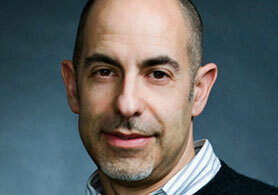 Elsewhere in the world of TV drama, Syfy in the US has ordered a pilot for a prequel to Superman from David S Goyer. Called Krypton, the show will explore the home of Superman before it is destroyed. Goyer, who has become the go-to guy for superhero stories in recent years, wrote the pilot with Ian Goldberg. Goyer’s other credits include The Dark Knight movies and Man of Steel. Another interesting story brewing this week is that The Writers’ Guild of America (WGA) wants a bigger share of the operating profits that it says Hollywood’s major media studios made last year. Those profits, which the WGA claims doubled in the last decade, are largely attributable to the content created by guild members, according to the organisation’s leadership. According to the WGA, the guild’s health plan is now running in the red and the average incomes of film and series TV writers have decreased while the Hollywood studios’ profits have risen. The significance of this is that the last confrontation between the WGA and the studios resulted in a huge writers’ strike in 2007/08, with 12,000 writers laying down their pens for three months. Reports at the time suggested that the strike cost the economy of LA anywhere between US$500m and US$1.5bn. Nothing will happen straightaway but it will be worth watching negotiations towards a new contract over the coming year. Viewers are doing time with two dramas set inside women’s prisons, but is there room for both Wentworth and Orange is the New Black? There was a splash of colour in the Outstanding Drama Series category when the nominees for the 67th Emmy Awards were announced last week. Orange is the New Black (OITNB, main image) will face competition from Better Call Saul, Downton Abbey, Game of Thrones, Homeland, House of Cards and Mad Men for the prize, which will be handed out on September 20. Previously considered a comedy – it was nominated for Outstanding Comedy Series at last year’s Emmys – the Netflix series was pushed into the drama category when the Television Academy defined episodic comedies as shows with a running time of 30 minutes or less. Each episode of OITNB runs for 60 minutes. But while its running time may set it apart from other comedies, its comedic tones and storylines are exactly what set it apart from other dramas, particularly those it’s up against for this year’s award. 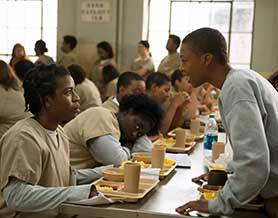 It is also its comedy roots that set OITNB apart from the other women’s prison-set drama currently on television. 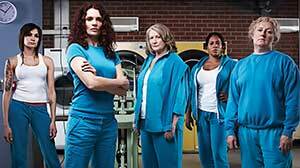 Wentworth, which airs in Australia on Foxtel’s SoHo network and is also in its third season, is described as a modern adaptation of the iconic Prisoner series, which originally aired from 1979 to 1986. This reboot – which debuted in May 2013, just two months before season one of OITNB landed on Netflix – is set in Wentworth Correctional Centre, with each episode focusing on a different character and how they cope in a women’s prison living under warring criminals fighting for supremacy over the inmates. Similarly, OITNB also uses individual episodes to focus on inmates’ backstories as groups of criminals fight over who rules the wings of Litchfield Penitentiary. But that’s where the similarities end, at least according to Wentworth star Danielle Cormack, who also points to the American series’ comedic undertones as a reason why there’s room on the television landscape for two series delving into the world of women’s prisons. Speaking ahead of launch of the third season of Wentworth on the UK’s Channel 5, Cormack said: “I love Orange is the New Black. I think it’s been the best thing for our show as well, so I say that with a lot of gratitude towards great television now but also in a very selfish way. Cormack, who plays top dog Bea Smith in the FremantleMedia Australia-produced series, adds: “But I think they serve each other really well. Wentworth wouldn’t have had the overseas attention if Orange is the New Black hadn’t played first off, and perhaps vice versa. 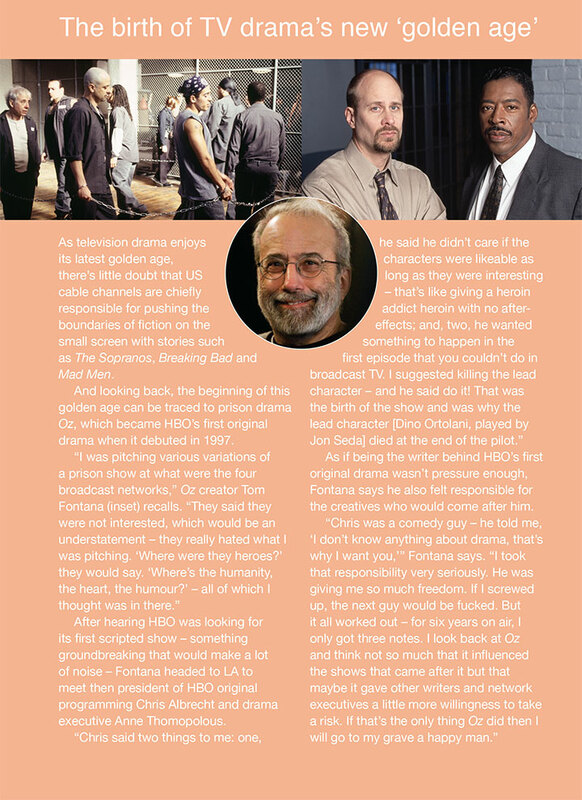 “So I’m really happy to walk side by side with Orange is the New Black and I applaud their storytelling. I find their take on prison life extraordinary because it’s taught me about other aspects of what it means to be incarcerated, and most of the crew that I work with have done extensive research about what it’s like to be locked away for long periods of time with other people and our take on it is very different. With OITNB available on all Netflix platforms around the world, Wentworth has also proved extremely popular on international screens. Since its launch, it has aired in 88 countries, including France, Japan, Poland, Brazil, Canada, Korea and Sweden. Furthermore, the series has been the subject of two foreign-language adaptations – Celblok H in the Netherlands, which has aired for two seasons on SBS 6, and Block B – Unter Arrest on Germany’s RTL. Despite their similarities, there’s plenty to separate OITNB and Wentworth, and with fourth seasons for both already locked up, audiences can look forward to spending more time behind bars with these two series.